I'm so, so happy to be using Windows 10 on my PC! I upgraded it just now, and it's so good. Yesterday, I had been at my friend's house for a sleepover, at Byculla; it was terrific! We did not sleep even for an hour, and were up the whole night. There are millions of fun things you can do with your friends, especially your best friends. I've compiled few of the activities, which would definitely make you guys have fun! The bond is increased even more on sleepovers. We confess things, we patch up and clear misunderstandings; we have a total girly time. 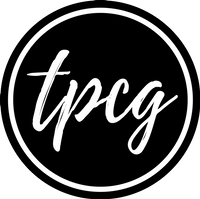 And, if you follow this TPCG guide, you're sure to be the best person at the sleepover! When you have an event coming up, nothing is as beneficial as going for shopping with your best friends. She is the best adviser, and what can be better than having your own personal stylist? Moreover, she'll also tell you which stores have the best deals in town. Oh my God. If you don't have millions of photos with your best friend, then I wonder what you do when she's around! Seriously, clicking selfies with BFFs is such a fun task to do. Watching a romcom with best friend is such a good idea. You can drool over the hot actors together! And dream of a perfect ending too. You can go on coffee dates with your best friend for a good one-to-one conversation. Often, when you have a group, where all the members are your best friends, you don't get time to be personal with them at individual level. This can be a great idea to be best friends in true sense. It's one of the best activities to do! My best friends and I do it almost every time we meet, especially at homes. After talking for long hours, we are so bored at sleepovers, or just casual walk-ins at homes, that we need something to keep us entertained for long. It usually starts with how annoying (or cute) a person is, followed by mandatory Facebook or Instagram stalking. This goes on continuing unless one of the friends finally demand to change the topic and get some life. Ha ha! 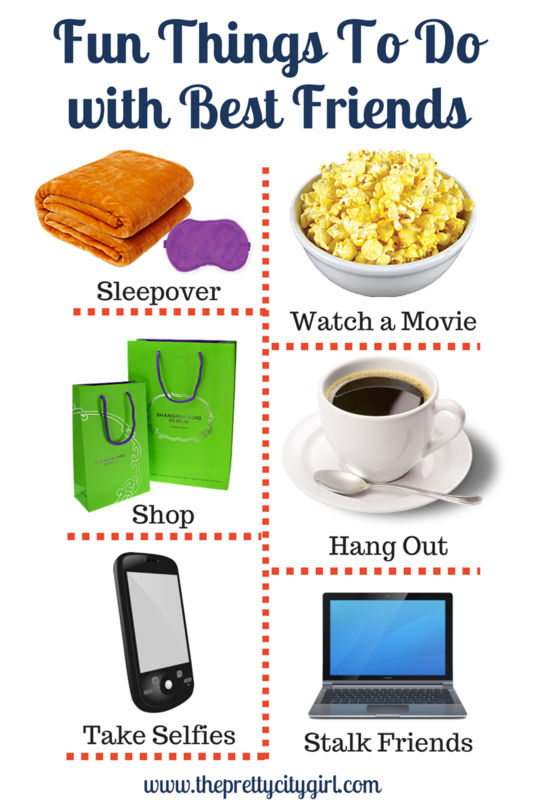 What would you include in this fun list?